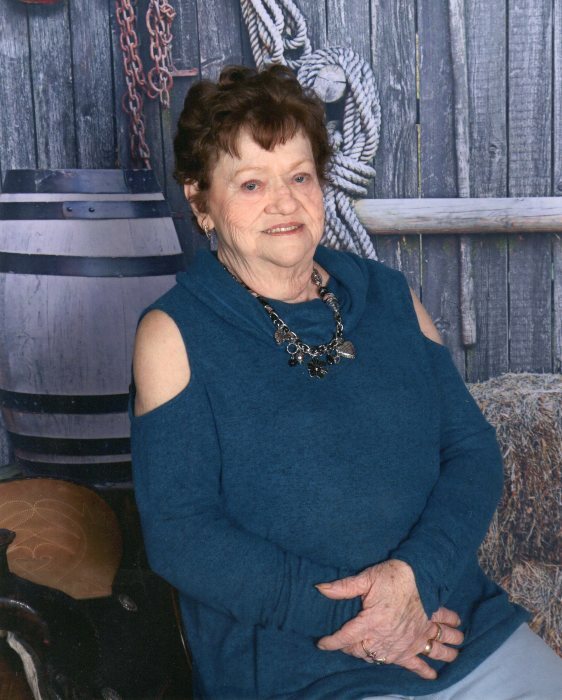 Mrs. Rosetta Lunsford, age 76 departed this life on Sunday, March 24, 2019 at the Kindred Hospital at Jewish Hospital in Louisville, Kentucky. She was born on Saturday, October 3, 1942 in Manchester, Kentucky to the union of Charlie and Eunice Sawyers Byrd. She was a homemaker and a member of the Jack’s Branch Bible Church. She leaves to mourn her passing her children: Joyce Johnson and her husband William, Charlotte Sizemore and her husband Dennie, Patty Hudson, Annie Davidson, Charles “Chuck” Dykes and Kim and Eunice Harris and her husband Harold, grandchildren that she raised as her own: Stephen Dykes and his wife Heather and Ashley Dykes and Brandon. Also surviving are 10 Grandchildren, 19 Great Grandchildren and these brothers and sister: Charlene Collins, John Byrd and Benny Byrd and Judy. She is preceded in death by her parents: Charlie and Eunice Byrd, her husband: Greene Lunsford, her son-in-law: Ronnie Davidson, her grandson: Trevor Dykes and these brothers and sisters: Melia McClure, Helen Mays, Bill Byrd and Ronald Byrd. A celebration of life for Mrs. Rosetta Lunsford will be conducted on Thursday, March 28, 2019 at 1 PM at the Rominger Funeral Home Chapel. Rev. Jim Smith and Rev. Shelby Deaton will be presiding. She will be laid to rest next to her husband Greene in the Byrd Cemetery in the Reid Branch Community. The family will receive friends and loved ones on Wednesday evening after 6 PM at the Rominger Funeral Home Chapel.